1 review of Il Cielo, first by SavorHour. It’s a bit like arriving at an upscale provincial estate in Tuscany when you enter Il Cielo restaurant. The feel of warmth and serenity embrace you as you enter the garden patio through the front door, a sincere and caring hostess ushers you to a table amongst one of the numerous areas inside the garden patio or private rooms, and a peaceful calm surrounds you at your table while your visual perception is filled with imagery of towering glass ceilings, flickering candles atop tall pedestals everywhere you look, intricate chandeliers overhead and romance in the air. 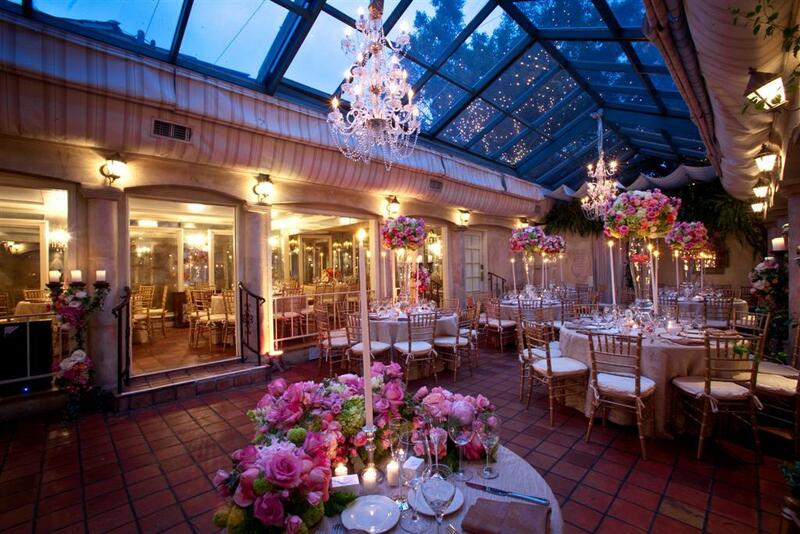 There’s no denying why Il Cielo was rated ‘Los Angeles’ Most Romantic Restaurant’, and was named one of the ‘Top Seven Places To Get Married’. Quite impressive. However, that won’t surprise you so much once you visit this alluring establishment to see for yourself just how much romance exists here. Details are meticulously refined throughout the restaurant’s charming and captivating dining areas. You may forget you are in the city and believe you are dining in the middle of a cultivated Italian garden behind a private estate during your experience. Don’t be alarmed. Just absorb it all and remember that feeling doesn’t have to leave you as long as you are here. Since 1986, Il Cielo has been enticing its clientele with its intimate setting, divine Italian cuisine, and overall refinement. On our last visit, our focus was on the lounge. 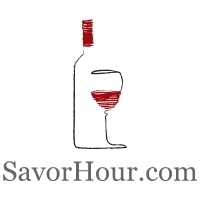 Specifically, the popular Happy Hour that is scheduled every Monday through Friday from 4:30 PM – 8 PM. All specialty cocktails are two-for-one, as well as most bar appetizers. We discovered that these libations are creatively engineered by the Il Cielo lounge staff. There are no unsavory, watered-down, overpriced cocktails here. Just meticulously-crafted, hand-shaken, stunningly gratifying liquid libations that will turn you into a regular customer. This is a favorite of ours…the Ivory Bliss martini. This is a perfect opportunity to sip your way into a coconut fantasy unlike anything else you’ve ever tasted. The imaginativeness of the Il Cielo mixologists will not permit you to forget about this harmonious concoction. Made with a combination of Godiva White Chocolate Liqueur and Ciroc Coconut vodka, this tropical refreshment is then shaken with fresh coconut shavings and served extremely chilled with a Belgian chocolate grated crown. I love a fabulous pear-flavored martini. This conglomeration of Grey Goose La Poire, fresh mint and a splash of citrus was topped off with a slice of crisp cucumber. Refreshing and visually attractive, each sip of this fruity and potent martini was satisfactory, well-accepted, and a definite to order again on a future visit. The Spiedino Caprese appetizer showed off the vibrant hues of red and green it possesses. Succulent sliced of fresh cherry tomatoes atop decorative skewers of mouthwatering orbs of mozzarella and crisp greens drizzled with extra virgin olive oil. A perfectly portioned nibble between exploring Il Cielo’s array of cocktails. I’m a huge fan of strawberries. Here is one specific example of that popular fruit that can easily put a smile on my face most any time. The Strawberry Bellinitini. Created with Vodka, fresh strawberry puree, lemon juice, then topped with Champagne, the flavor of strawberry dances across your taste buds in celebration. The Limoncello Drop martini is Il Cielo’s rendition of the standard Lemon Drop libation. Made with Absolut Citron, Limoncello, and fresh squeezed lemon juice, this liquid sensation will force you from never having a traditional Lemon Drop martini ever again! Il Cielo exudes charm, is undeniably romantic, and is profoundly enchanting in terms of its overall ambiance, decor, cuisine and service. We recommend it highly and we look forward to experiencing a dream of our own soon within this fantastic venue of relaxing comfort and beautiful allure. ESTABLISHMENT / DECOR: Lush garden-themed ambiance with romance in the air, flickering candles throughout the dining rooms, comfortable seating and an extremely intimate setting that will make you think twice before leaving at all. 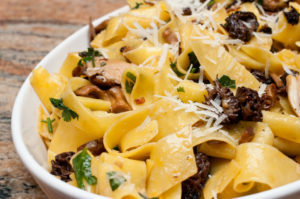 FOOD / DRINK: We have yet to experience dinner at Il Cielo (It’s on our list!) However, the quality of the appetizer we shared an the four specialty signature cocktails we indulged in inside of the Il Cielo lounge were delightful and memorable. 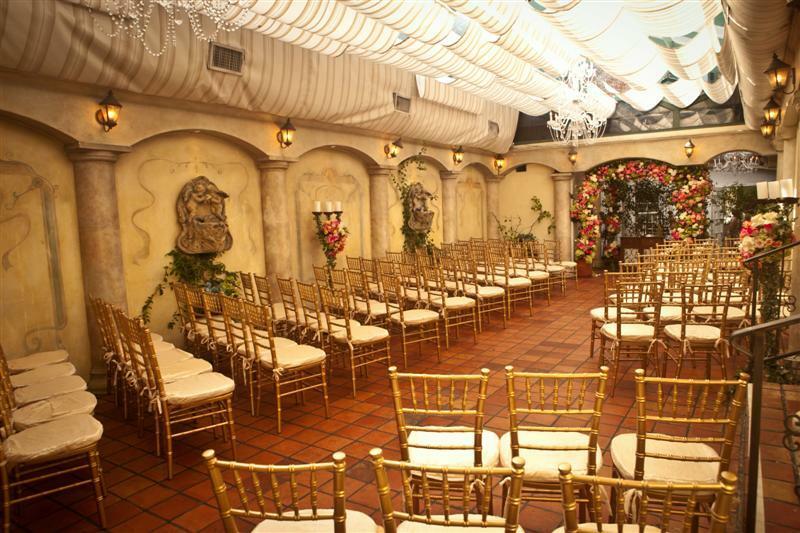 LOCATION: Il Cielo is located at 9018 Burton Way in Beverly Hills, CA 90210. HOURS: Il Cielo’s popular Happy Hour extends from 4:30 PM to 8 PM every Monday through Friday in the restaurant’s spacious and inviting lounge. Lunch is available Monday through Saturday from 11:30 AM – 3 PM, while dinner is served Sunday through Thursday from 5:30 PM – 10:30 PM, then again Fridays and Saturdays from 5:30 PM – 11 PM. SERVICE / STAFF: Our bartender, Virgil, offered us excellent service, attentiveness, and made reliable suggestions. PRICE / VALUE: We were extremely satisfied with the price of our beverages and appetizer that we shared while enjoying ourselves in the Il Cielo lounge. On our last visit, specialty cocktails were $7 each, and they were also two-for-one! PARKING: We had no trouble locating a metered parking space just outside the restaurant on our last visit to the establishment. TOTAL BILL: Our final bill for four specialty cocktails and the Caprese appetizer came to just over $32 (including tax). These dishes from the Il Cielo menu are contributed by Menuism users directly, as part of a restaurant review, or as part of a photo upload. Do you own Il Cielo? Contact us to connect with your diners. 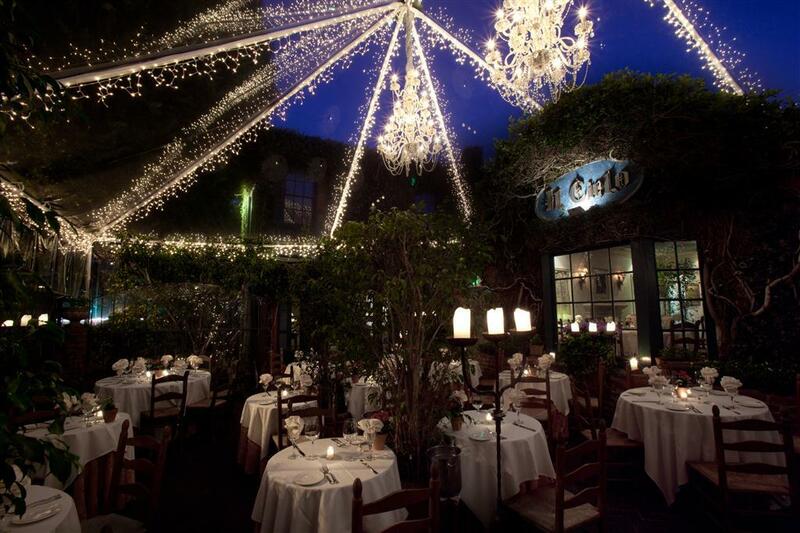 Il Cielo is located near the cities of London, Century City, Beverly Hills Ca, Mound, and Little Ethiopia. People found this by searching for: Il Cielo Romance Package How Much?, Il Cielo Private Rooms, Il Cielo Restaurant, Il Cielo Beverly Hills, Il Cielo Menu, Il Cielo, and Il Cielo Yelp.